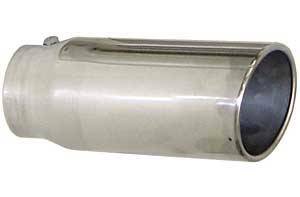 PYPES Diesel Truck Monster Exhaust Tips put the finishing touch on your exhaust. These tips feature 30 degree slash-cut exits with rolled edges. Two finishes are available, polished or black powdercoat.